The side walls are two threads thick and, at least in PETG, entirely too rigid to slide on easily. I think a single-thread wall with a narrow ridge would provide more spring; if this one gets too annoying, I’ll try that. This entry was posted on 2016-04-22, 07:47 and is filed under Machine Shop, Software. You can follow any responses to this entry through RSS 2.0. Both comments and pings are currently closed. I’d probably put both sets of spheres in the same for() loop. Another option for a slide fit that’s not too tight is internal ribs. I see this approach on commercial products occasionally. Mmmph. That makes more sense; not sure what I was thinking. Delete the second iterator, wrap curly brackets around the two sets of spheres, done! 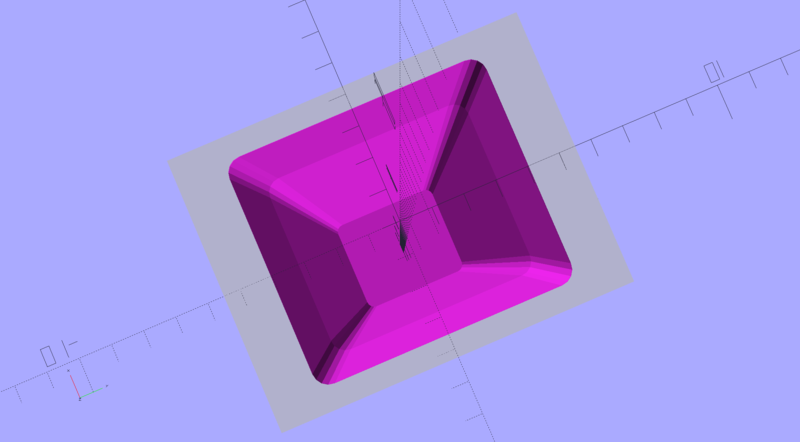 If you ever get tired of OpenSCAD (or just want a visual alternative), try Onshape (onshape.com). 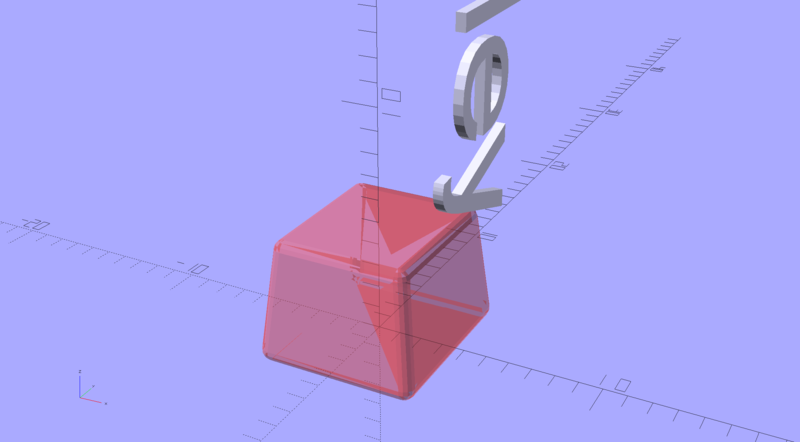 It’s a fairly new browser-based 3D CAD service that works incredibly well on a Linux system and there is nothing to install. I read good things about OnShape, so I should devote some time to figuring it out. Thanks for the recommendation! Nice insight into adapting the model. Thanks. I just wanted to add that it’s also an opportunity to improve the part that you are making the replacement for. If you have ever used a seam ripper, you know that cap gets lost easily once you put it down and hence the replacement cap. For some reason, they don’t come with caps that can be placed on the back end like a stick ballpoint pen. It would also improve the ergonomics since the handle is small already. You would be a hero to the sewing world if you came up with something to fit that need. As nearly as I can tell, the only way to solve the “lost cap” problem is being able to produce more of them on request! 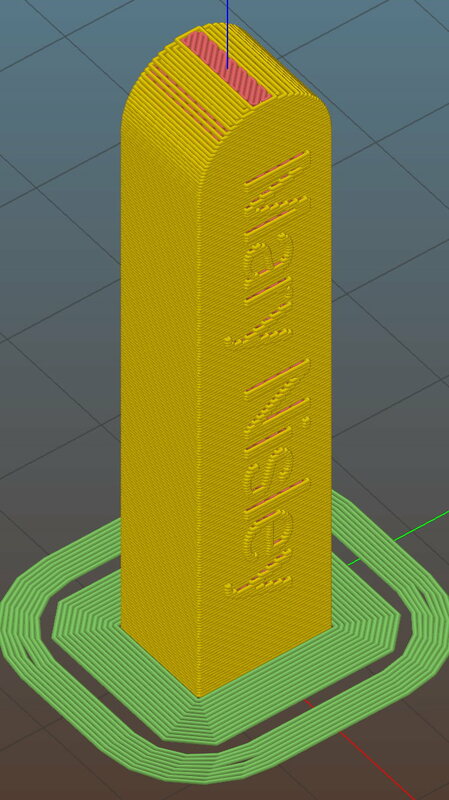 Clover Seam Ripper Cap #3DThursday #3DPrinting « Adafruit Industries – Makers, hackers, artists, designers and engineers!